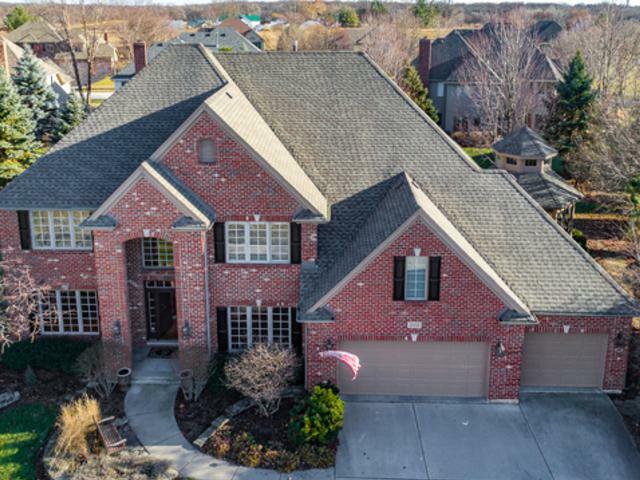 One of a kind, custom executive home, with over 4,000 sq ft above grade. 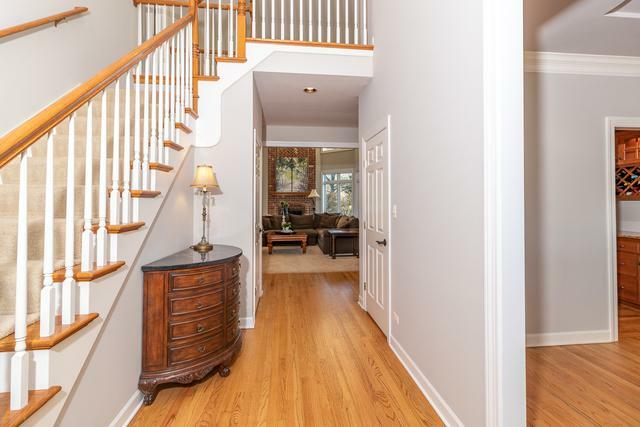 Situated on a quiet cul-de-sac lot in Prairie Ridge subdivision, located in award winning Naperville School District 203! 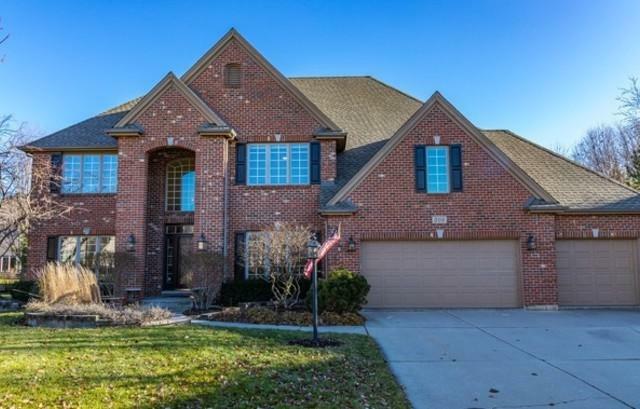 Spacious two story foyer, and family room with two story brick fireplace. Executive library with custom mill-work and coffered ceiling. Formal dining room with butlers pantry. First floor den with adjacent full bath for associated living. Stainless steel, granite gourmet kitchen with large island and walk-in pantry, perfect for entertaining! Laundry room and additional mud room with built-in cubbies leading to screened gazebo porch. Second floor luxury master suite with spa-like bathroom and two walk in closets, three additional bedrooms, two full baths and bonus room. Fully excavated finished basement with two recreation rooms, playhouse, guest bedroom with full bath and lots of walk in storage. Professionally landscaped yard with paver brick patio, fire pit and underground sprinklers.